The TV-program distributor AT&T has agreed, in October 2016, to acquire the TV-program producer Time Warner for an $85 billion deal. The proposed merger, though, is still facing strong opposition. As a matter of fact, on March 22 the U.S. Department of Justice (DOJ) brought the case to trial arguing the takeover may substantially lessen competition in the media industry. Notwithstanding, Case law seems to be in AT&T-Time Warner’s favour. That’s because their combination is referred to as a vertical merger and, after Nixon’s administration, no vertical deal has been blocked. According to DOJ’s review guidelines, businesses vertically integrating not only favour competition but also create efficiencies and synergies. That’s exactly the aim of AT&T and Time Warner, who claimed they are merging to meet the “transformative changes” in their industry. Consumers are, in fact, shifting from using and watching programming over traditional networks to the Internet. Consequently, AT&T and Time Warner are now losing subscribers due to stronger competition of Internet-based incumbents such as Netflix and Amazon. Therefore, to meet customer’s needs and to adapt to the new video era, both companies decided to merge. According to AT&T, the tie-up will make AT&T-Time Warner a more effective competitor and it will benefit consumers. Moreover, AT&T forecasts “more than $2.5 billion in annual synergies by 2020 and more than $25 billion in total synergies on a net present value basis”. After the merge, the combined firm could exploit both AT&T’s expertise in targeted video advertising and the television ad inventories possessed by Time Warner. 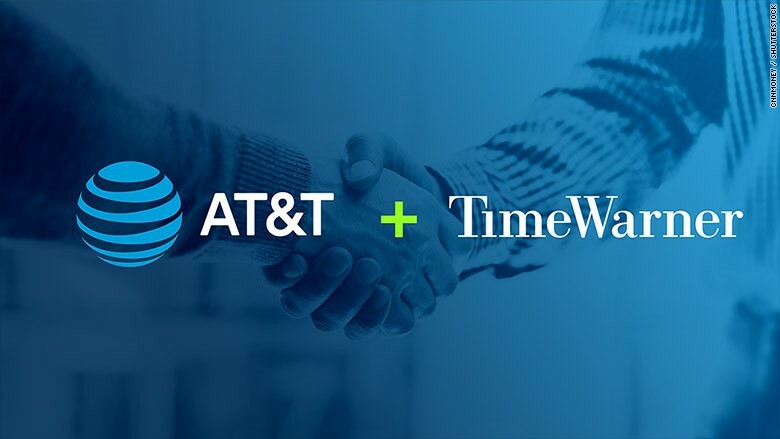 AT&T’s data will enable Time Warner’s programming to have more customized advertising (thus making it an alternative for advertisers to Google and Facebook), while Time Warner’s content will help the combined firm develop new valuable services. In addition, as AT&T-Time Warner will compete with media companies like Facebook, Alphabet Inc., Amazon and Netflix, there will be no incentive to raise prices. Conversely, the U.S. Department of Justice does not seem to agree. It believes the proposed merger will harm competition and it stated that it would result in “fewer innovative offerings and higher bills for American families”. The case is still on trial and AT&T seems not confident of a quick time resolution. Evidence can be found in the fact that the company is buying back a tranche of bonds issued in August 2017 to fund the acquisition of Time Warner. As a matter of fact, the bonds included a provision called special mandatory redemption (SMR) that is a guarantee for bondholders that the company will not use the cash to finance another acquisition that may be not as appealing to the investors. In this case, the SMR requires AT&T to buy the bonds back at one point above par if the deal does not close by April 22, 2018. Therefore, since the deal has started only one month before the deadline, AT&T made a smart move buying the $1.75bn tranche of 2023 notes under the “make-whole” call. Following this procedure, the company could either buy the debt for the full value of the principal or for the present value of the remaining payments discounted at a “make-whole spread”. Though, AT&T risks having to pay investors the remaining portion of debt in April 22 if the case will still be before the court. Should the $85 billion deal go through, it will create a new telecom behemoth. AT&T will have control of HBO and CNN and will use its distribution powers to relay that content widely. The company would also have a leading position to negotiate licensing deals with rival firms. On the other hand, if the merger is blocked it will signal a new era of scrutiny for the media industry and it will create uncertainties for the business community.